Performed using high-def super slow-motion video footage. Includes running specific strength and flexibility tests to detect muscle weakness, inhibitions, imbalances and inflexibility. 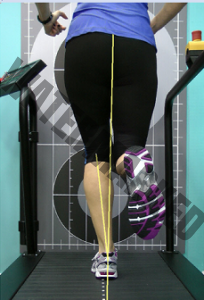 Comprehensive gait analysis report sent to the runner. Prescription of detailed specific exercises, stretches, drills (with illustrations and tips) as well as mental cues to remove specific running gait deficiencies. Catch form defects and inefficiencies before they cause injuries. Become a more efficient and faster runner by improving your running economy. Become an injury free runner.